Movie from 28 August 2010. View is towards the west. 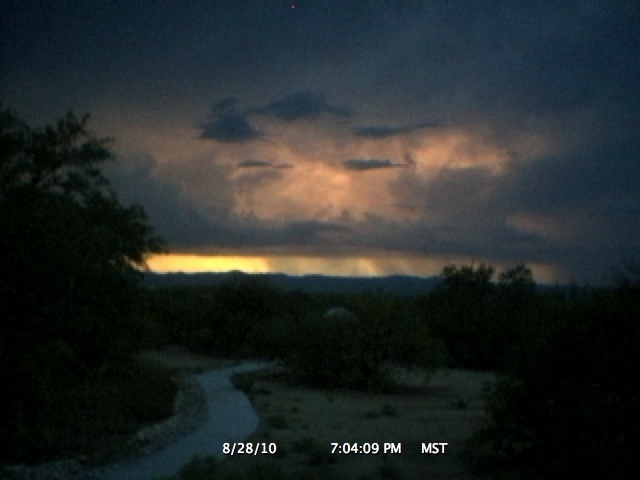 After sunset, a strong monsoon thunderstorm passed to the west of Oracle. 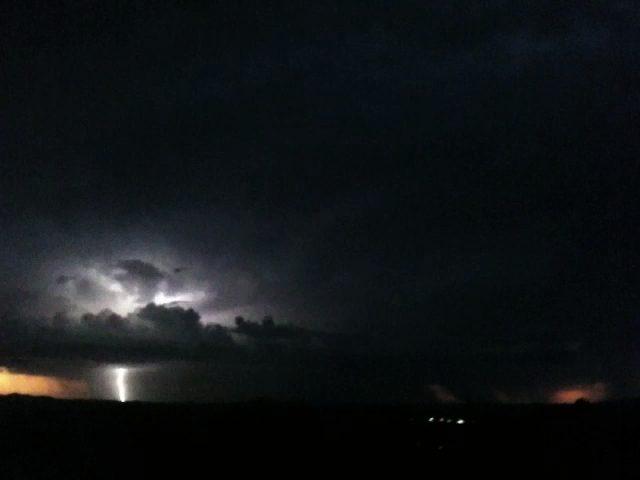 I took a movie of the lightning using my iPhone 3GS. The video runs 5 minutes, and is mostly of the storm to the west. It briefly pans to a storm to the south. There is a lot of lightning, both cloud-to-cloud (CTC) and cloud-to-ground (CTG). There is no audio as the storms were too far away for any good thunder to be heard.